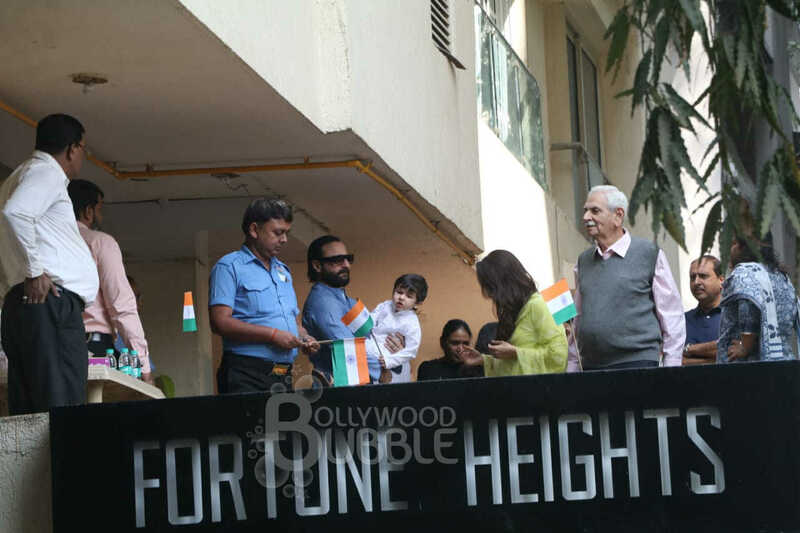 Taimur Ali Khan and his parents Kareena Kapoor Khan and Saif Ali Khan attended the National Flag hoisting ceremony at their apartment. 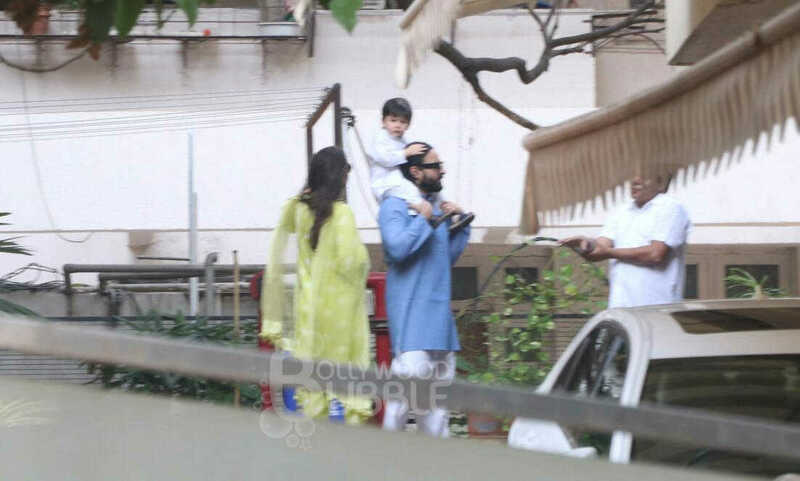 Taimur in his typical white kurta pyjama, replicated his dad's style. 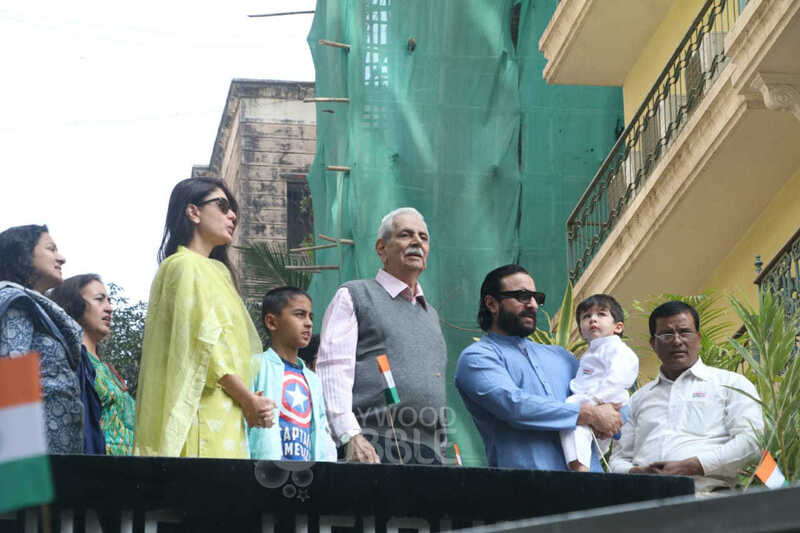 Kareena stunned in a mint green coloured traditional wear. 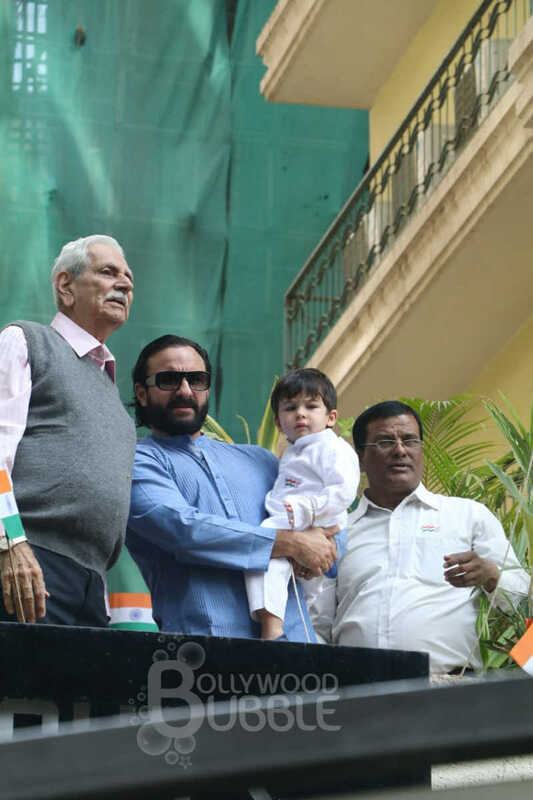 The munchkin celebrating India's 70th Republic Day is giving us major patriotism goals. 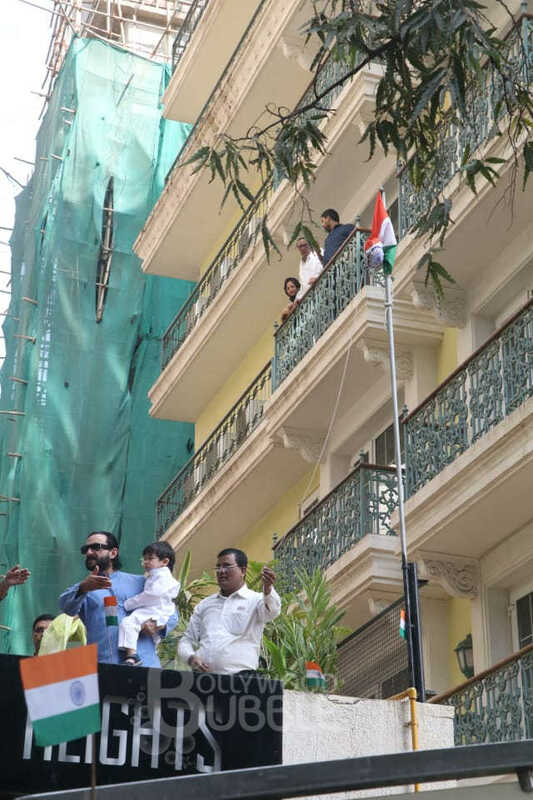 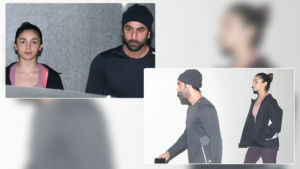 After the flag hoisting ceremony the family was seen heading back home.